Only by being aware of and consciously accepting your negative thoughts and feelings, will you ever be able to work through them and grow. 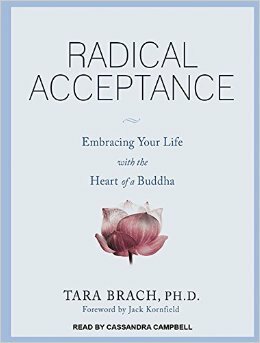 Tara Brach shares many personal stories, guided meditations, actionable steps, etc. to help you work through any feelings of unworthiness. Don’t waste your short time on this planet feeling like there is something wrong with you. Feeling unworthy goes hand in hand with feeling separate from others and from life. May manifest as addictions – to drugs, alcohol, other people, work, etc. This entry was posted in Books and tagged Buddhism, Spirituality, Tara Brach on June 2, 2015 by Blas.